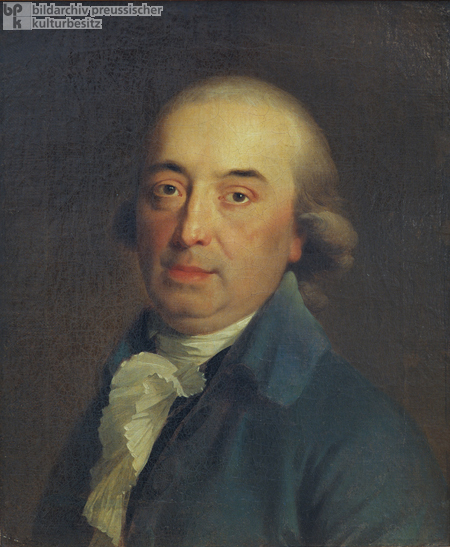 The writer, philosopher, theologian, and poet Johann Gottfried Herder (1744-1803) exercised a major influence on German linguistics, literary studies, and historiography. His major works include Fragments Concerning the More Recent German Literature (1767) and Reflections on the Philosophy of the History of Mankind (1784-91), the latter of which laid the groundwork for nineteenth-century historicism. His interest in popular customs and traditions, particularly folk poetry and songs, and his concept of the Volksgeist figured importantly in the development of German Romanticism and nationalism. Painting by Johann Friedrich August Tischbein (1750-1812), 1795.